Picture above: ABG speaker Mr. Simon Pentanu was welcome by his Pokpok people when he returned home. The ceremony was very significant and he was accompanied by member for North Nasioi, Hon. 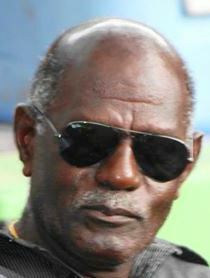 Nicholas Darku, Hon. M. Kokiai member for central regional women and Noah Doko rep, Mr. Michael Pariu. The newly elected ABG House of Representatives Speaker, SIMON PENTANU has started working on strengthening the ABG House of Representatives. In his first Broadcast on New Dawn FM, MR. PENTANU said that the time of partying is over and that he was now ready to do his work in strengthening Parliamentary Services to support the Government of the day. He said that his office will prepare for the induction of members of the ABG to make sure they know what their role and responsibilities are as members of the ABG House.Pentanu said that his office will support the members to understand their work so that they can properly deliver as required by their constituencies. He said that his office will do more in strengthening the members by carrying out educational programs to support the members work. The ABG speaker also thanked the ABG House for having faith in him and elected him as the Speaker of the 3rd ABG House. Meanwhile, the ABG Parliamentary services staff prepared a lunch to welcome the new Speaker at the House of Representatives. This completed the one-week of running around since the Inauguration of the 3rd ABG House on Monday this week. The outgoing ABG Speaker for the last seven years, ANDREW MIRIKI officially handed all office keys of the ABG Parliament house to the newly elected speaker, SIMON PENTANU. The brief but very significant ceremony was witnessed by the Acting clerk, EDWIN KENEHATA and his deputy at the Speaker’s office. Before handing off the keys, MR. MIRIKI gave a full brief of what he had done and what he could not do in the last seven years. He also outlined some programs that the new Speaker need to continue with example the Twinning arrangement between the New South Wales Parliament and the ABG house. MIRKI said that he was happy to handover to the new Speaker to continue with the work and also promised to support the speaker if he is needed. He said that he was now packing up and would leave the Speaker’s house in Kubu in four weeks to allow the new speaker to move and carry out his work. 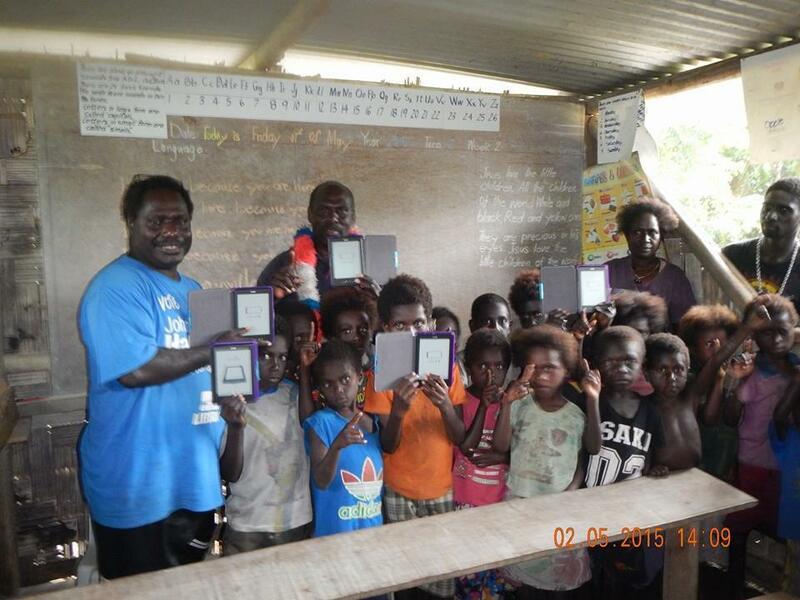 Message from Simon Pentanu Speaker House of Representatives Bougainville. 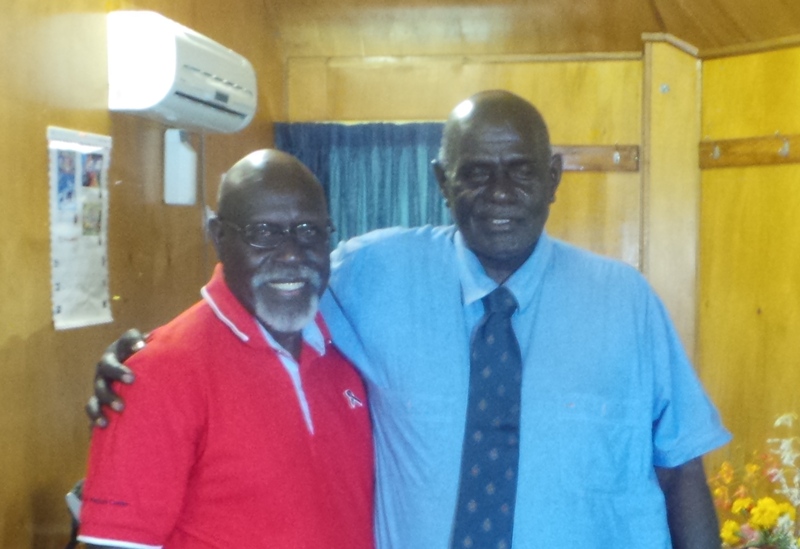 On the occasion of Port Moresby Bougainville Association celebrations to mark Third Anniversary of ABG. 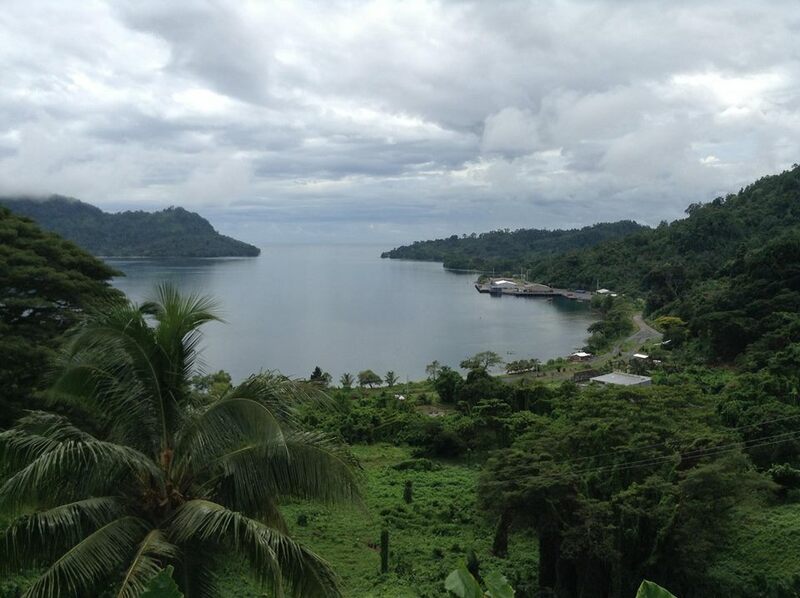 It’s a beautiful day in Bougainville. 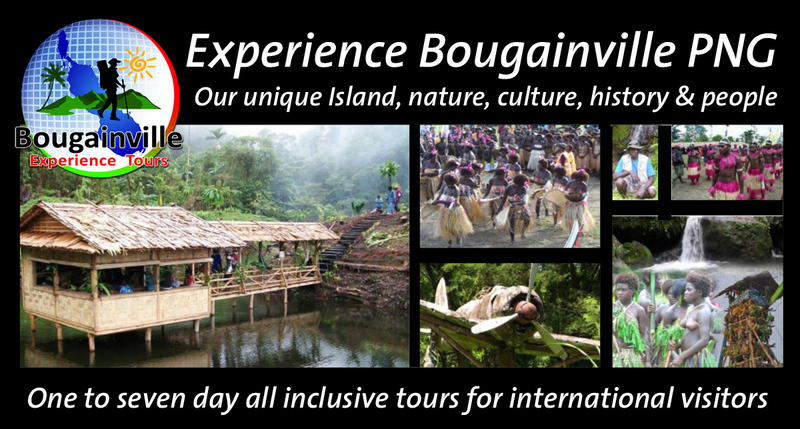 I hope it is too in Port Moresby where PBA is hosting its premier event where Bougainvilleans, with families and friends, get together today to mark this Third Anniversary of our ABG and our current political status as an Autonomous Region. PBA is the natural facilitator of these events with the support our tertiary students, our women and those that always volunteer to assist the PBA Executive. I know that the message from this Executive has been: “PBA will not do it for you, we will do it with you.”That was the basis of the spirit of success in 2014. I’m sure it is the same spirit for AROB Day 2015. “Just as you feel politically responsible in serving your constituency, as Speaker my role and responsibility is to equip and serve you to perform your principle roles as legislators and decision makers in your role as service providers. In other words, our primary interest is the same and that is to serve our people. As Members of the House this can be best done in four main ways. 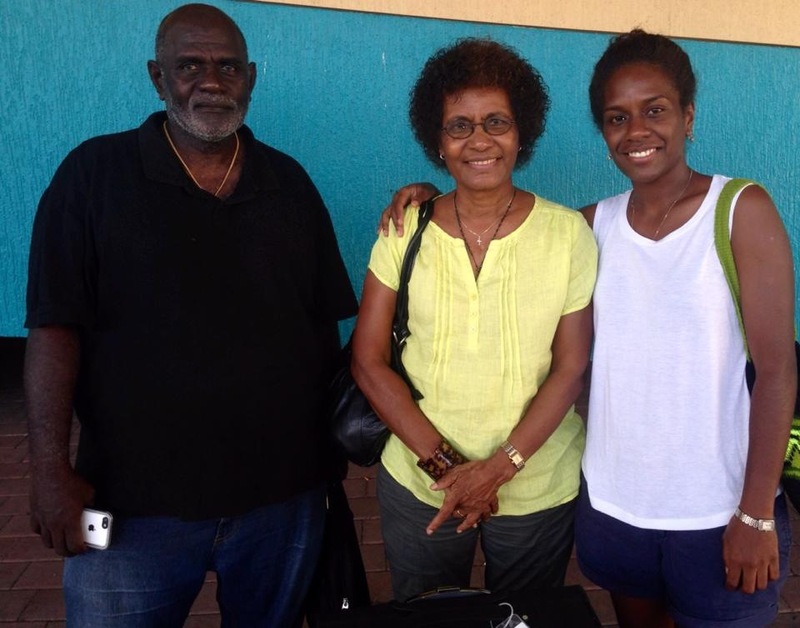 THE Autonomous Bougainville Government has a new speaker. He is former Ombudsman Commissioner and former National Parliament clerk, Simon Pentanu. 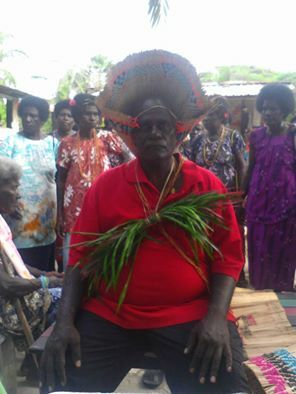 Mr Pentanu, from Pokpok Island in Central Bougainville, was voted in by the members of the 3rd ABG house after the swearing in of the new member’s yesterday (Monday) morning at the parliament chamber. A speaker of the parliament is voted in by the members and must be from outside of parliament whereas the deputy speaker must be a member of the House. Only two candidates were nominated by the parliament members and Mr Pentanu was nominated by parliament members from the Central regional committee while Andrew Miriki, former ABG parliament speaker, was nominated by the South regional committee. A secret ballot voting was conducted by the 40 members of the house and Mr Pentanu was declared the Speaker after surpassing the absolute majority of 20+1, scoring 23 votes while Mr Miriki scored only 17 votes. Mr Pentanu thanked the former speaker and the members for making the decision to elect him as the new speaker and said he does not represent any constituency but represents the members who represent the people. “The parliament is my constituency and my role a responsibility is to serve you the members in decision making and the parliament is a highest body for the people and is an institution to uphold democracy, laws and tradition of the people…,” he said. After taking his seat front of the chamber Mr Pentanu then proceeded to conduct the secret ballot voting for the deputy speaker that was won by Francisca Semoso, who is the North Bougainville Women’s member, against Christopher Kenna, who is member for Lato constituency in South Bougainville with 28 votes to 12. I am going to break from convention and tradition that new Speakers often follow to script when they are elected to assume the Speaker’s Chair as I am doing today. 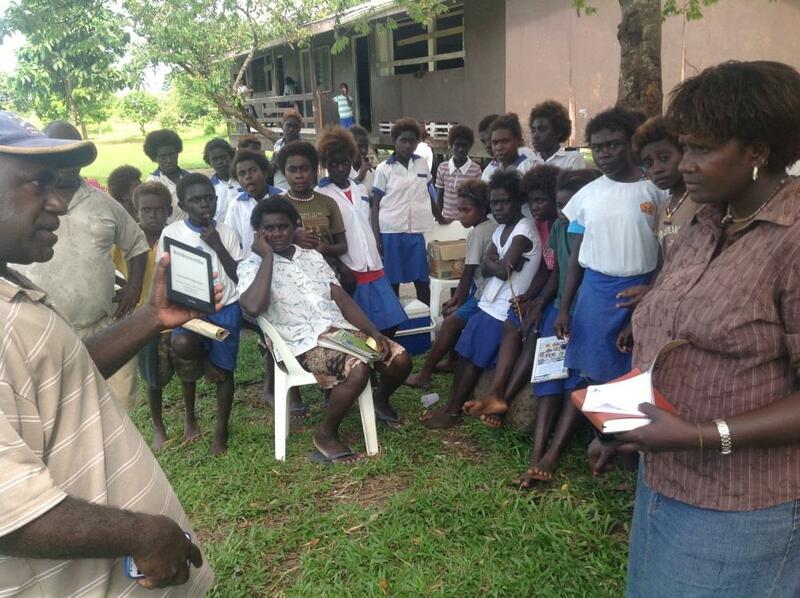 To start with let me begin, on your behalf and on my own behalf, by acknowledging and paying respect to all the local clans on Buka, the traditional custodians of this Island – especially here in Tsitalato constituency – where we are meeting today and where this House, the highest decision making body, is situated at this time. In saying this I thank all Members, including the President, for exercising your individual choices to arrive at a collective decision in appointing me to assume the role of Speaker. What we just witnessed with the Clerk chairing the first business of the House was a very democratic process in which the Speaker was elected through a secret ballot. In thanking you and acknowledging your decision I wish to say what is important to recognise is, regardless of how or where a Member voted in making their decision during the ballot, the appointment of the Speaker is the choice of the House. As Speaker my allegiance is to the House and to all Members irrespective of what region, constituencies, special interest or gender you represent. 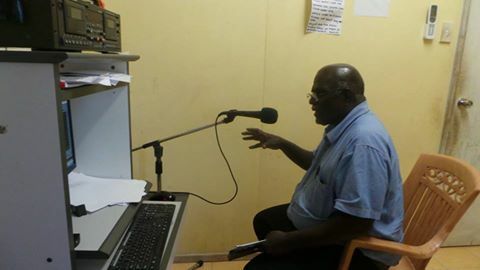 I may be from Central Bougainville, I may have been nominated by the Central regional committee. Yes, making a choice to reflect a fair regional representation is important in fostering the spirit of unity. Yes, unity of purpose and united approach has been the hallmark of peace building and reconciliation efforts all along in getting to where we are today. We all well know this. 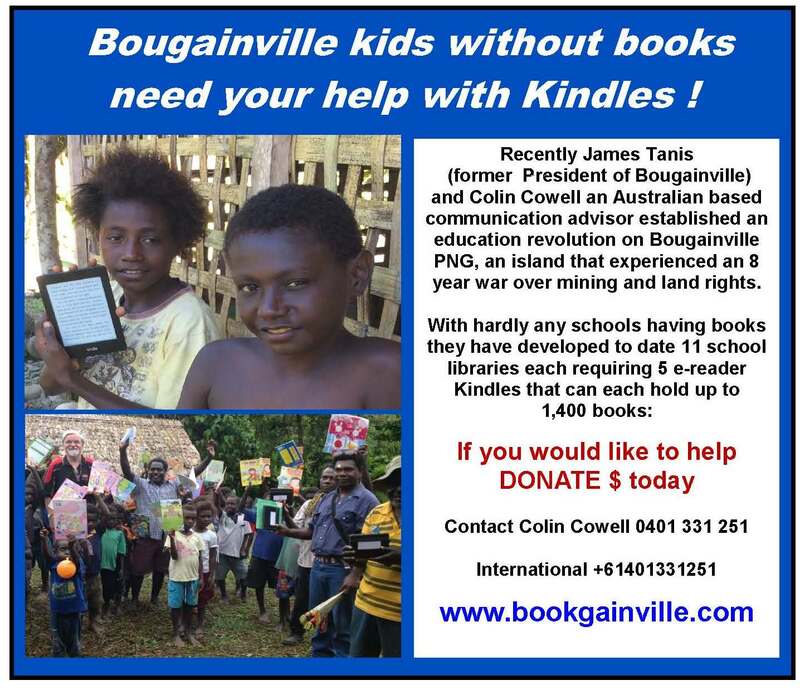 And yes, we should also remind ourselves on occasions like today the Bougainville Constitutional Commission gave a lot of thought, consideration and credence to a fair and equitable representation in the spoils of office during its arduous task in drafting the Bougainville Constitution. I feel humbled and honoured and at the same time proud to be the one saying this. 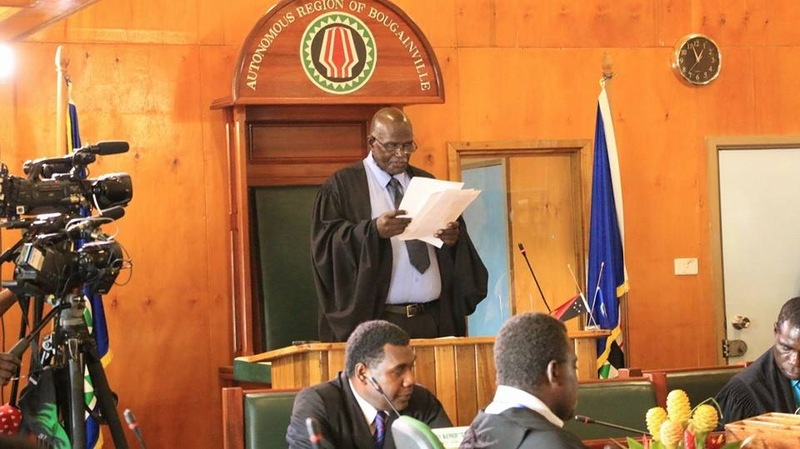 On the other hand, or should I say by the same token, I would also rather like to think – and I am sure many honourable Members also share this view – that any Bougainvillean that is appointed by the House as its Speaker is done largely on the candidate’s merits. The Speaker does not represent a geographical or electoral constituency. But it is important to point out that he or she is appointed by the people through their representatives in this House. In a very real way then, the Parliament is my constituency. The Members are my constituents. Just as you feel politically responsible in serving your constituency, as Speaker my role and responsibility is to equip and serve you to perform your principle roles as legislators and decision makers in your role as service providers. In other words, our primary interest is the same and that is to serve our people. One, by strengthening the institution of Parliament. This will take all of us from the President down to the Members to first recognise that in the system of democracy and governance we have chosen the Parliament is the epitome of our democracy as provided for in the Constitution. The Parliament as a body comprising the Peoples representatives is the highest accountable as well oversight body of people domiciled and functioning in a single place. 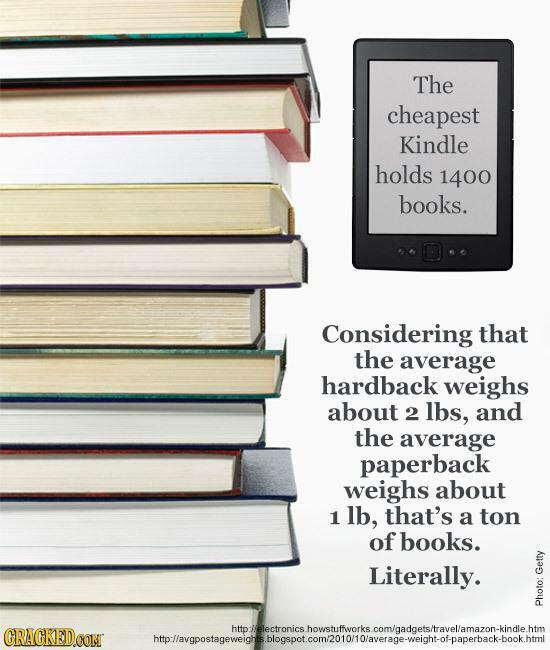 We need to appreciate and add value to this. Two, the Parliament is an institution that will best function and deliver the values that we aspire to in our democracy only when its constituent parts are well resourced, well served and well articulated and assisted to perform your political roles. This includes meaningful participation in decision-making in Parliament through debates, through parliamentary committees which are an extension of the Parliament and through your direct engagement with the people. 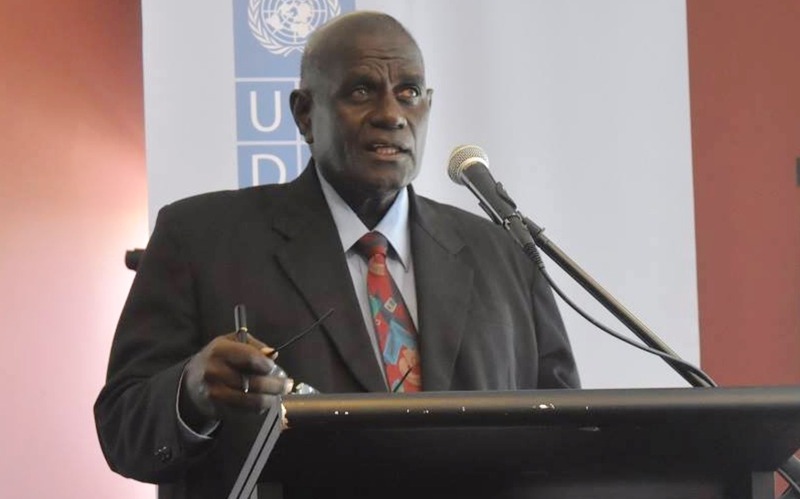 Three, in building and strengthening the Parliament through you as members, the Speaker’s role in the Bougainville Parliament is not one of just a Presiding Officer or Chairman of meetings of the House. I will call on all my previous experience as a parliamentary officer and Clerk of a the Parliament of a successful sovereign nation, an experience that extends over 25 years. With this experience and background I am confident this places in a position to ensure that the management and administration of the parliamentary service is above board and that everything we do is transparent. Four, it is important there are close and meaningful consultations with the Speaker and the Clerk with the Executive in planning and appropriating sufficient resources to allow better and more proactive roles by members in serving their constituents and in maintaining an effective and efficient functioning Parliament. Might I also add that the House as well as the Executive needs to start paying more attention to the Members representing Women and Former Combatants who have been elected to their respective reserved seats. The Bougainville Constitutional Commission was very deliberate in including this provision of reserved seats in the Parliament. The Parliament and the Government must give practical effect to enhance the participatory and decision-making roles that women continue to play and that former combatants can bring to bear in resolving and bringing to closure many issues that remain to be addressed and attended to. Today, June 15 2015 marks the third anniversary of ABG. How and where we start in performing our roles in this Third House of Representatives will determine how much we improve and achieve at the end of the next 5 year term starting today. Let me take this opportunity to thank my immediate predecessor, former Speaker Hon Andrew Miriki for his services in providing leadership in this role in the last two Houses. It is a service to duty to the Parliament and to the People that is worth mentioning and putting on record. I have followed Speaker Miriki and he can be well proud of his leadership and chairmanship that saw the passage of a number important legislations which are further steps towards implementing both political and financial autonomy. This includes the passage through Parliament of the various stages of the mining legislation. Similarly, I wish to put on record our thanks and appreciation to the pioneer Speaker of the House Mr Nick Peniai. Mr Peniai who took on the task as first Speaker of the first House with great optimism and enthusiasm. I can say this because after assuming office he sought advice and consulted with a number of us quite extensively. 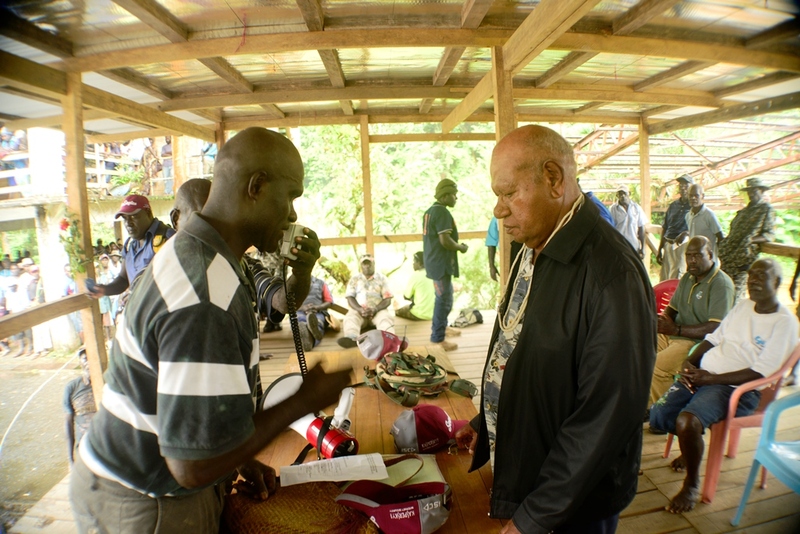 The most important achievement during Speaker Peniai’s tenure was the admission of the Bougainville House of Representatives as a full member of the Commonwealth Parliamentary Association. As Speaker, I give you my assurance that as head of the legislative arm and as Presiding Officer I will perform to the best of my ability in upholding and protecting the values of this institution. In saying so, I also stress my conviction that this is only possible if we all work together. I will be a working Speaker. However, I must repeat that we can only achieve any goals and objectives by working for each other but more importantly by working with each other. We will do this with decorum, integrity, dignity, transparency, accountability, honesty and hopefully with an acute sense of purpose. While the Speaker is expected to maintain independence in office this independence should not be confused with isolation. I will keep my lines of communication open to allow for meaningful consultations and discussions with all Members. Finally, I congratulate the President, members elected to the open constituencies, members elected to the reserved seats for women and former combatants for winning your respective seats. Among us today we have for the first time a woman who has won her seat in an open constituency seat. I thank you all for placing your trust and confidence in appointing me as Speaker for this third House of Representatives 2015 – 2020. May God bless this House and bless all of us to be worthy servants of and for our people. 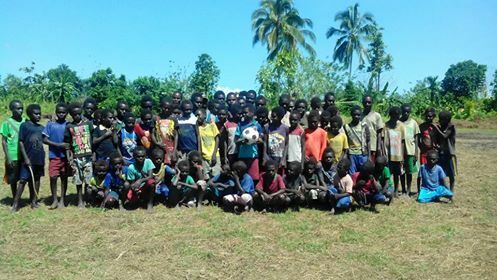 “It was emotional, it was exciting, thought drenching, brain leavening, quite historical in many respects. 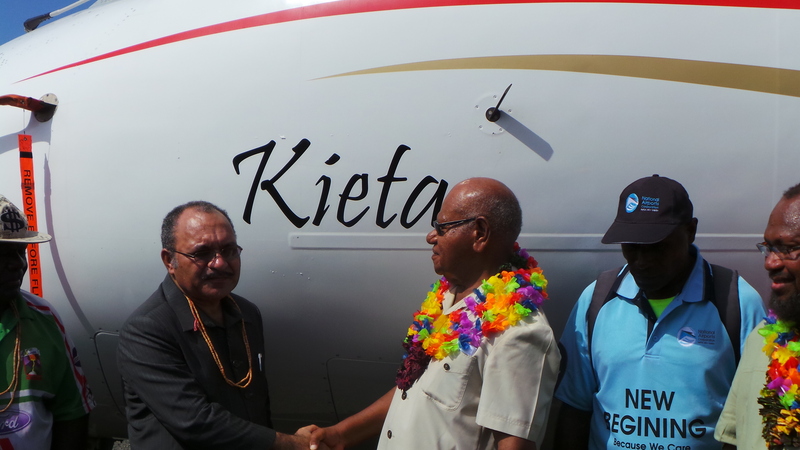 After almost 24 years in disuse, a revamped and upgraded Aropa airport was re-opened last Friday 12 December 2014. With its new terminal buildings it is now ready for business. As usual it was marked by celebrations of sorts – political speeches, hand clapping, chanting, lamenting, shouting, smiles and laughter and ecstatic joy all around. I am thankful for the opportunity get on the inaugural flight to be among wiser and much stronger and more power-wielding politicians and bureaucrats on the historic flight. There was no way I was going to miss this for the world. I wanted to return home and land on the same turf where I took the second last flight out and away to Port Moresby 24 years ago. 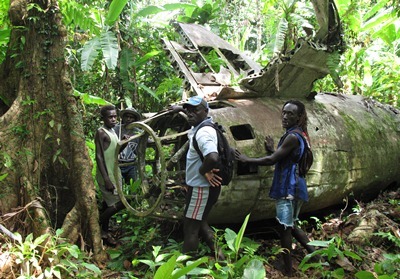 And going back a little earlier in history the old Aropa airstrip is also where I took my first flight on a TAA DC-3 in 1965 to begin high school on Buka Island. I cannot forget, the old work horse was the fastest thrill I ever had then with a landing on the way at the Wakunai grass strip before arriving on Buka Island. 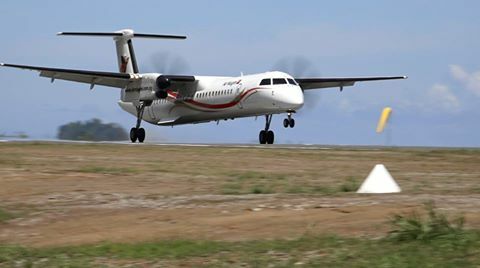 The inaugural flight F400 PX4354 flew direct Port Moresby – Aropa. We arrived on the west coast and made our way over the Crown Prince Range to the other side above Loloho and took a slow flight path southwards along the coast above Arawa, Kieta, over Pokpok Island and then made the landing approach from the Koromira end in south touching down at 10.39am on the newly paved new-look Aropa Aerodrome. 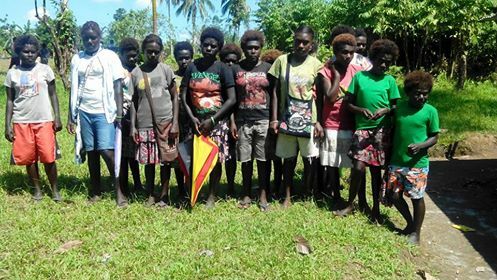 The opening of Aropa means Bougainville is probably the only Province/Region with two aerodromes, one in Buka and now in Kieta (Aropa). As part of the reopening and renewing ceremony the F400 Dash was named Kieta. This once thriving township name now becomes a very recognizable part of the aircraft’s livery on one of Air Niugini’s domestic fleet. 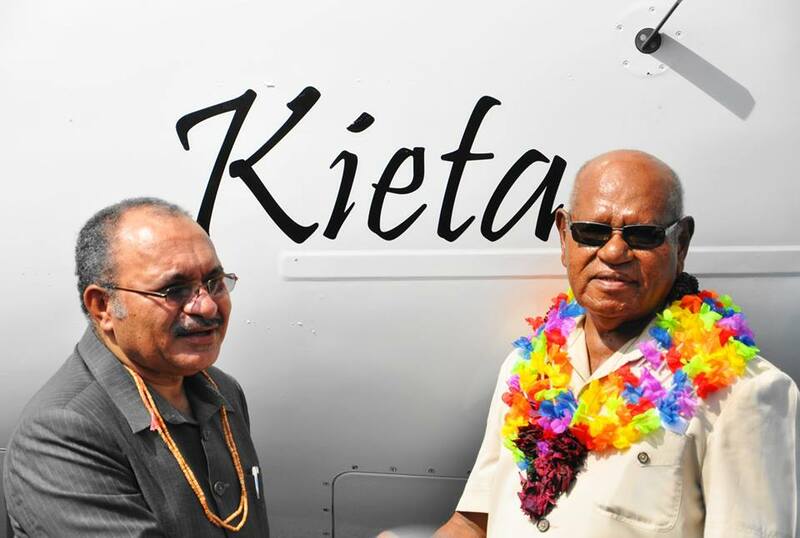 If the thrill and joy of opening Aropa at this time is a Christmas gift, the naming of the aircraft is a spiritual lift for Kieta township and for Bougainville. It’s great, it is the stuff that marks and makes history that is worth remembering. The name is conspicuously poised providing a respectful distance between the Prime Minister and the President who both unveiled and named the aircraft. Part of the excited but orderly crowd that welcomed the inaugural flight and witnessed the naming of the aircraft after their township. If the naming required baptismal or christening rites as part of the ceremony, The President, a former priest adequately fulfilled both the purpose and occasion for this. 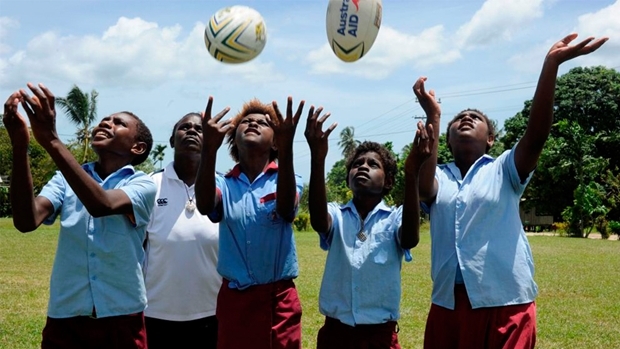 If the naming and ceremony needed any political validation, the Prime of PNG and who is also the Prime Minister of Bougainville fittingly occasioned this purpose. 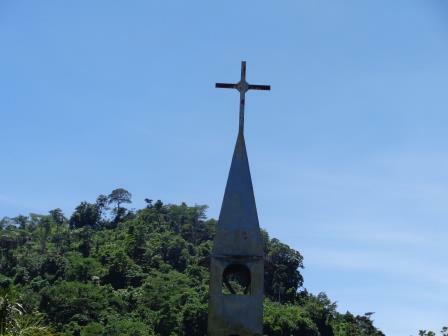 As you might imagine I am – and I would think many Bougainvilleans would be too – still over the moon that a long last Aropa is open for business. Landing at Aropa means it will take me less than an hour to get to the village as opposed to three and a half to 4 hours drive from Buka to Kieta. 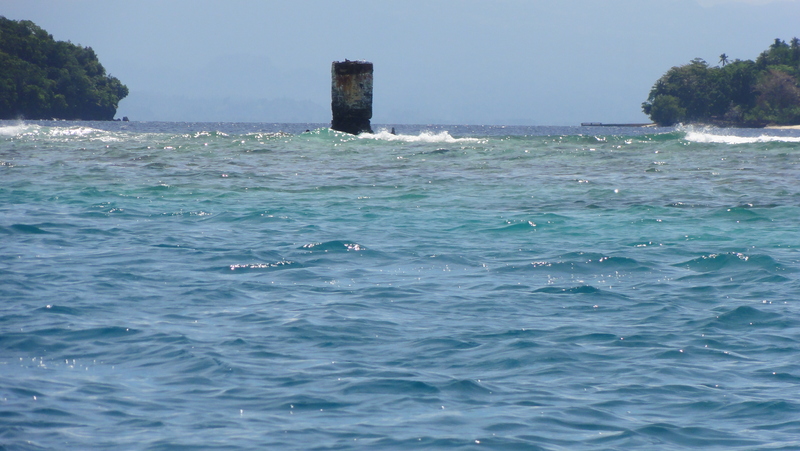 I can prepare lunch in Port Moresby and eat it in my house on Pokpok Island whilst it is still warm. Or, I can bring the famed local dish tamatama within a few hours of being prepared in the village on the flight back to Port Moresby to share with family and friends in the city while the pudding is still warm. So there, another Day in the life, trials and tribulations of a Paradise that lost its head, its charm and its way as a promising place with so much to offer. But never mind. The past is gone, the future is yet to come. The moment to live and savour is now. It is time to make the most of it. Commercial flights will begin in the coming days or weeks. 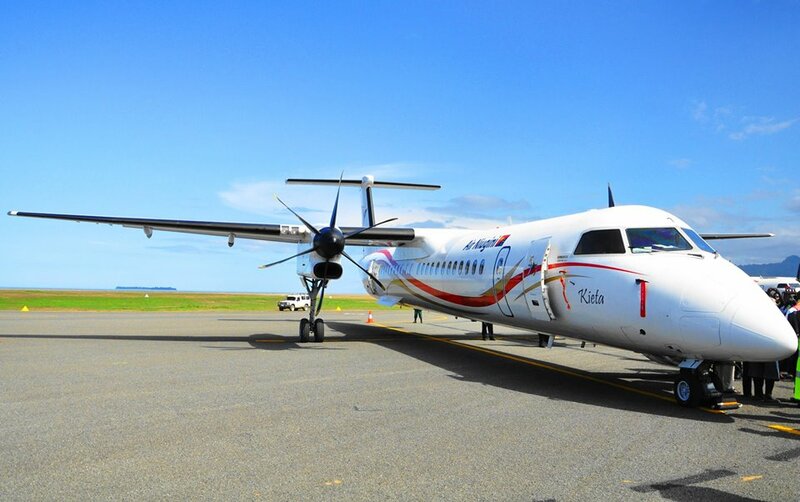 May be Air Niugini can make the two routes to Aropa and Buka quite profitable in the country if it offers no-frills travel and targets volume and bums on seats at affordable fares that’ll allow more people to travel. Flying over this enchanted Island is truly a sight to behold. Landing back at Aropa after 24 years was redeeming. Seeing the multitudes that converged to celebrate and adorn the opening was reassuring.